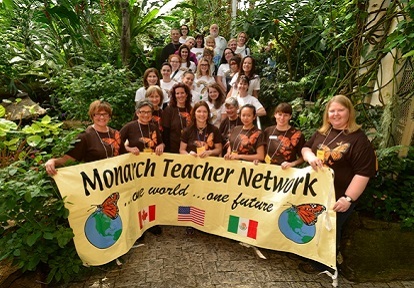 Monarch Teacher Network of Canada (MTN of C) is a growing collective of educators and nature enthusiasts who teach and inspire people to connect with nature through hands-on training, teacher resources, and professional development workshops. 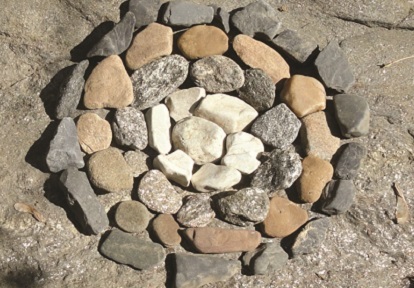 We are committed to fostering a deeper connection to the natural world through explorations of art, science and environmental action. PERMIT UPDATE: Monarch Teacher Network has now received a Scientific Collectors permit for this year. To apply for yours, please contact Vicky An: van@trca.on.ca. Monarch Nation is a new national program that engages and educates children ages 6-12 about species at risk, and empowers them to take action on behalf of wildlife in Canada. Through a nationwide network of partner organizations that includes Toronto and Region Conservation Authority (TRCA), Monarch Nation delivers local, grassroots programming designed to get kids involved in real, hands-on conservation work — from habitat restoration to citizen science. 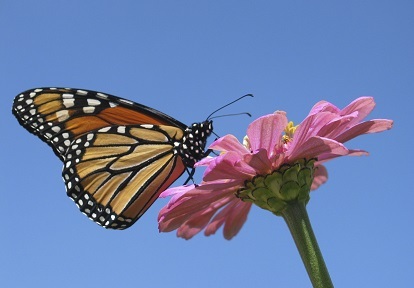 Monarch Nation program activities focus on species at risk such as the monarch butterfly, the polar bear, the barn owl, the western chorus frog and the little brown bat. 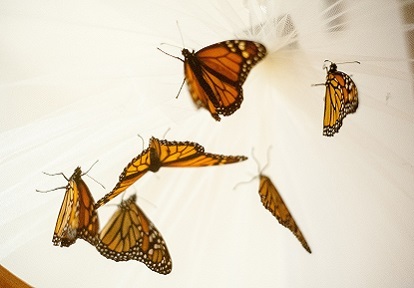 Our story begins in southern New Jersey in August 2001, when 18 teachers were trained at the very first Teaching & Learning with Monarch Butterflies workshop, hosted by a group of dedicated educators. The workshop proved a great success, leaving teachers eager to bring their newfound knowledge and experience back to the classroom. In 2003, the reach of the project expanded to Canada, with the first workshop was hosted in Kingston, Ontario. Since 2009, Toronto and Region Conservation Authority (TRCA) has served as the Canadian administrator for the MTN program in Canada, with support from The W. Garfield Weston Foundation. Each year, MTN of C hosts multiple workshops focused on teaching skills and concepts that will inspire people to share what they learn in their own schools and communities. We are also working to establish national hubs across Canada, and have branched out from Teaching & Learning with Monarch Butterflies to add two new offerings to our suite of professional development workshops: Voices from the Land and Creating Monarch Friendly Habitat. In addition to educating others about conservation, we are actively restoring Monarch butterfly habitat. To date, our volunteers have installed butterfly habitats in Ottawa, Toronto, Winnipeg, Cambridge, South Mountain and Port Rowan, and we continue to look for more opportunities to create additional habitat. We regularly engage a growing network of enthusiastic workshop graduates and have 30 active volunteers who facilitate our workshops. We’d love to add you to our network. The registration fee includes expert instruction, a resource package, as well as light snacks. Please note: meals, travel, and accommodations are NOT included in the cost of the workshop unless otherwise indicated. Please bring appropriate outdoor clothing and footwear for the weather; consider a wide-brimmed hat, sunscreen, a water bottle and travel mug. We recommend bringing a camera, as well as a notebook and pen or another note-taking device. How do I obtain a receipt for my registration payment? For online registrations, your confirmation email will include payment information and may be considered your receipt. If paying by cheque, receipts will be available when you check in on the first day of your workshop. Information collected on your registration form is used only for the purposes of the workshop, and will not be given or sold to others. If you wish to have continued contact with MTN of C after the workshop, you must provide your consent, either in writing or online. Are workshops guaranteed to run? All workshops require a minimum number of participants to run. Unforeseen circumstances such as weather events can also force the cancellation of a workshop. MTN of C reserves the right to reschedule or cancel a workshop. We strongly recommend that any travel and accommodation arrangements you make should include a flexible cancellation policy. We strive to let participants know if a workshop has to be rescheduled or cancelled at least 48 hours, or two business days, before the event. If MTN of C must cancel a workshop, we will gladly refund all cleared registration fees as quickly as possible — or, if you prefer, we can transfer your registration fee to another workshop. 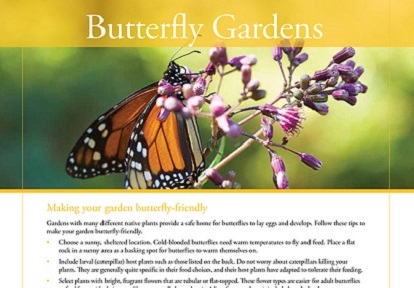 Do I need a permit to collect Monarch butterflies? In some provinces, this is a regulated activity. LEARN MORE.